Our Virginia personal injury law firm receives dozens of phone calls each week about major product recalls, such as the DePuy hip implant recall. 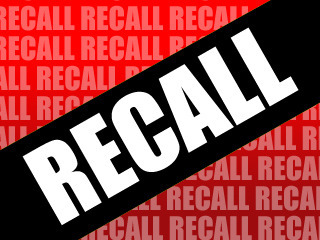 Our law firm handles these types of product recall cases, but many potential clients ask us about the law firms that advertise on television about these recalls. To tell you the truth, most of the advertisements you see on television are from “national law firms” (i.e. law firms that advertise across the country, but are usually based out of big city) who take on hundreds of products recall cases. There’s nothing wrong with that, but there is a cost with joining this type of firm - you will likely be treated as just another number. It wouldn’t be surprising if you rarely, if ever, speak to the actual attorney; rather, your case is handled by a paralegal or “representative” of the firm. Our firm takes a different approach. At our Virginia personal injury law firm, we pride ourselves in providing one-on-one, personalized customer service to our clients. This is what made us decide to start working in the mass tort arena. This area of law can be very confusing and, many times, clients don't feel like they can get answers from the “big firms”. I can tell you, with the utmost confidence, that if you sign with our firm for your product recall injury claim, you will have a lawyer who you will actually talk to and deal with directly. You should also keep in mind that if you sign with a small firm like ours, you’re not sacrificing the quality of representation. The VA injury attorneys at our firm possess over 140 years of combined legal experience. Also, attorneys at our firm are listed in the “Best Lawyers in America” publication and are recognized as Virginia “Super Lawyers”. We also get results in the court room. This may surprise you, but our VA personal injury law firm secured a record-setting jury verdict for a seriously injured client in October 2000. The jury verdict was for $46 million, but the total amount increased to $60 million (with interest). If you are interested in learning more about the legal rights that may be available to you, consider contacting our office. If you get a voice message due to high call volume, we will call you back asap. Currently, we are taking cases that focus on the DePuy hip implant recall, Yaz/Yasmin/Ocella birth control, vaginal mesh injuries, NuvaRing side effects, and Stryker hip implant injuries. To learn more about why clients choose our Virginia personal injury law firm, take a look at this page (it features our written pledge that every client receives).